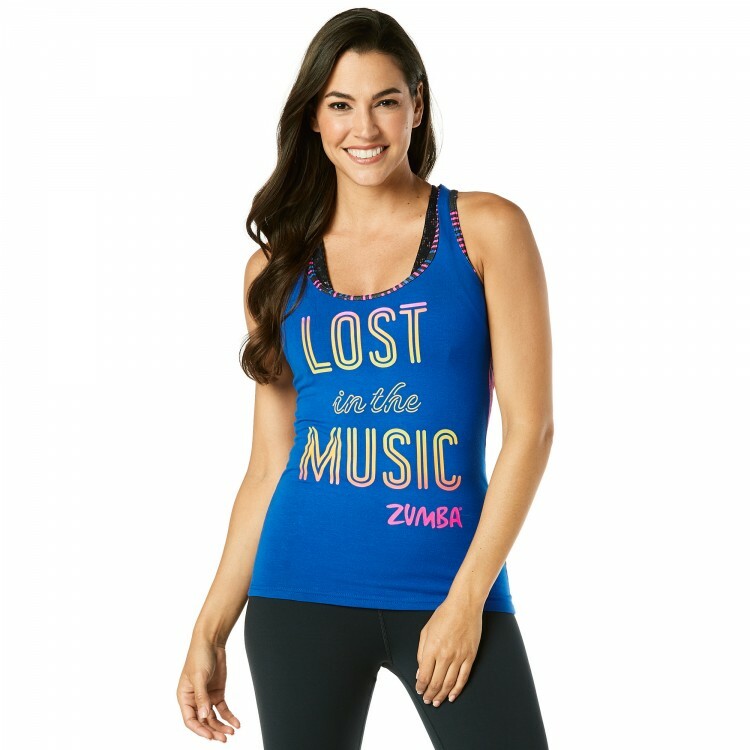 Make the speakers blow in the Lost in the Music Racerback! 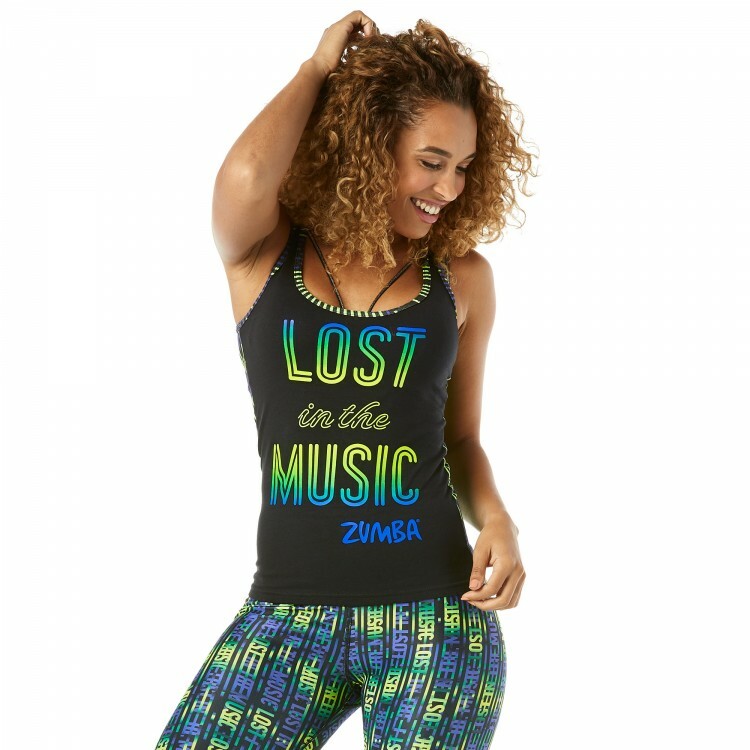 With an all over print on the back and a neon foil print on the front, this tank will always make a style statement. 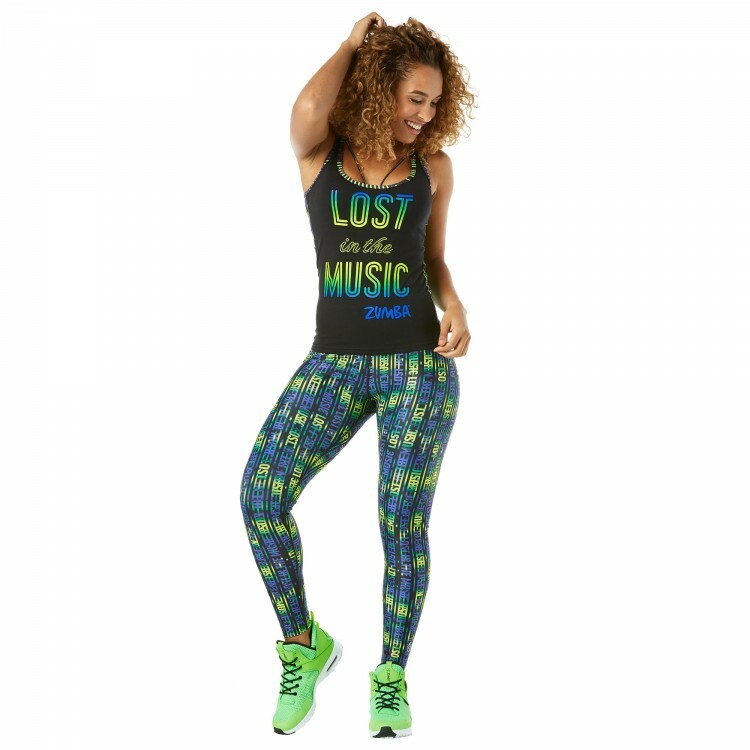 Neon Gradient/Foil Placement Print on Front, All Over Print on Back.